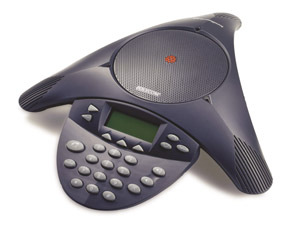 DigiDial-VoIP is a business-grade Voice over IP service that is hosted on our network. DigiDial-VoIP provides you with a robust, low-cost enterprise voice solution, replacing costly PBX or Centrex service - with the flexibility and durability of Internet Protocol (IP). With DigiDial-VoIP capability, your company can change its communications financial model, meeting your communications needs at significant cost savings. DigiDial-VoIP goes far beyond traditional PBX, IP-PBX, Key, or Centrex services to include in your voice communication a vast array of Web-based feature functionality for simplified, efficient communication within your company. DigiDial-VoIP easily connects all of your company locations and remote employees with the same dialing plan, creating a virtual campus environment with intra-company 4 or 5-digit dialing, call forwarding, and enhanced company-wide voicemail capability. Your employees can manage all of their office communications needs through any Internet access or browser. Business communications no longer need to be dependent on location and hardware. 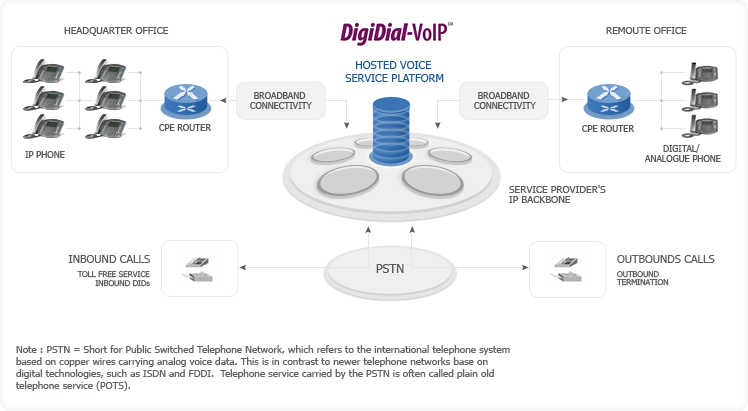 DigiDial-VoIP gives you the best of both worlds: the features and benefits of traditional voice systems and the power and capability of the Internet. DigiDial-VoIP includes a suite of advanced browser-based capabilities described here. Send us a quote request or contact us. We' are happy to discuss with you how VoIP could work for your business, increase efficiency, and save you money.